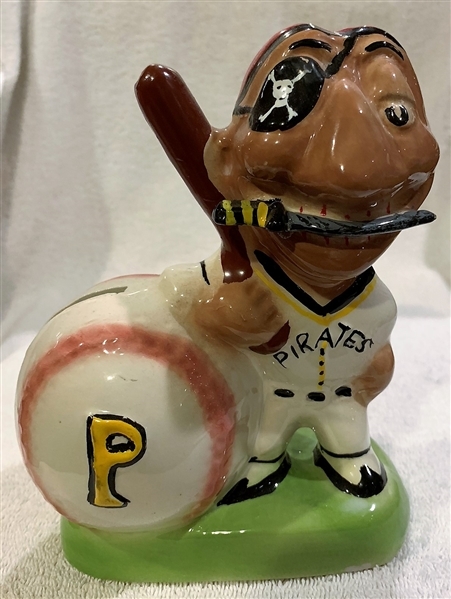 When it comes to mascot banks- they do not get much nicer looking than this Pittsburgh Pirates bank. It features an amazing mascot with a knife in his teeth. 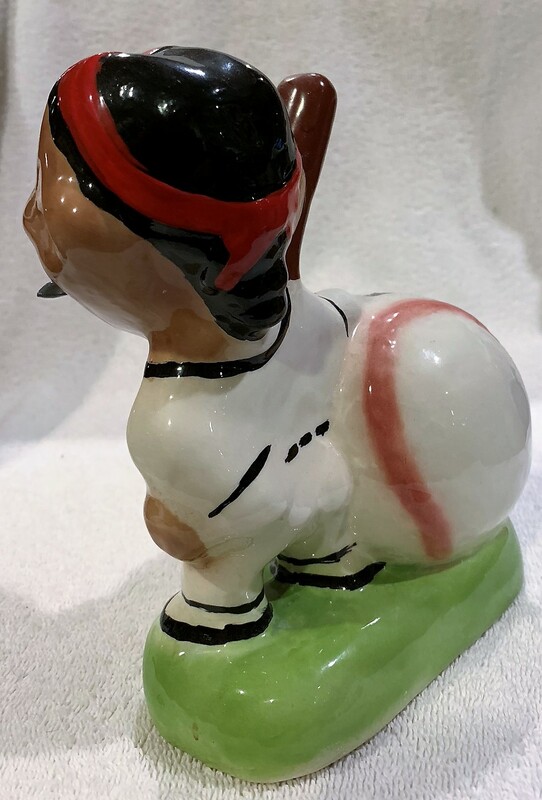 It's 6.5" tall and near mint.